This time of year a warm soup really hits the spot. This is one of my fast favorites and can be whipped up in a flash. With just a few fresh nutritious ingredients you can make this very quickly and affordably. Start By laying your ingredients all out. 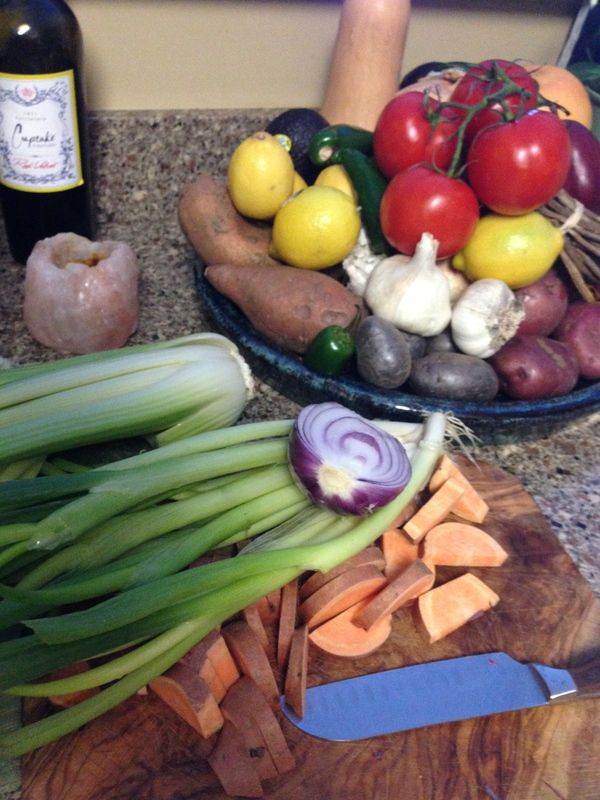 On a cutting board chop up your celery, onions, and sweet potato. Next get out a large pot and set to medium high heat. Once warm add the coconut oil. As soon as it melts add onions and cook until translucent. Add celery and chopped sweet potatoes stirring until they begin to sweat. Add your sea salt, fresh ground black pepper, and barley mixing well. Next fill the pot 1/2 way full with purified water. If you have the ability to add boiling water that will shorten the cook time. Keep your heat at medium high until it gets to a rolling boil. Once it does cover and simmer for 45 minutes. Turn off heat and let cool for 5 minutes. Take your cut spinach and fresh scallions in the bowl, then ladle the soup on top. Mix around and the heat from the soup will wilt the spinach without losing its nutrients and cooking it. We can make this soup for under $7 for a large pot which keeps cost down and nutrition up. Goes great with some flour-less Ezekial Sprouted Grain Bread toasted, and a salad. If you pair it with bread and salad your cost comes in at about $1o total for a healthy hearty family meal. For a spicier kick add either fresh diced jalapeno or cayenne pepper both work great. 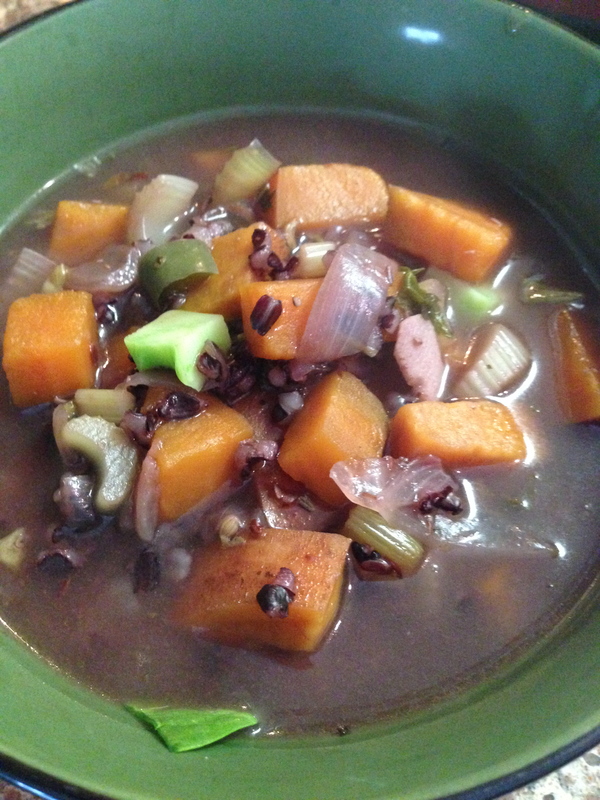 We also like to fortify the soup by adding a Teaspoon of ground flax when serving to add some additional nutrients.